The Chief Executive of Airbus Helicopters has advised reporters that the Super Puma Helicopter has an important role to play in future North Sea Operations. In a move that will cause controversy within the North Sea sector, Guillaume Faury CEO of Airbus Helicopters said the company was working closely with regulators to have the Super Puma fleet returned to service following a fatal crash in Norway that seen the rotor blades detach from the aircraft and kill all 13 on board. The aircraft have been grounded in the North Sea since the incident. European Regulators did lift the ban across Europe, but the UK and Norwegian air regulators opted to keep the ban in place until the investigation into the accident concludes. Mr Faury said the Norwegian Accident Investigation Board (AIBN) was expected to release it’s final report on the incident “in the next few months” and pledged to raise safety standards across the offshore helicopter industry, suggesting more sensors and monitoring could play a key role. Mr Faury stated: “We don’t want to solve the problem and move forward… we want to grow out of this crisis much stronger and much better. The return of the Super Puma would alleviate pressure on North Sea Helicopter operators, who recently seen almost all operations paralysed by an immediate safety check required on the sectors main workhorse the Sikorsky S92. North Sea flights ground to a stand still when the entire S92 fleet of 30 helicopters were grounded and a week of urgent safety checks ensued to get the aircraft back in service. The re-introduction of the Super Puma, would resolve that issue, but attitudes towards the aircraft have been drastically impacted by a spate of fatal accidents in the offshore industry and the offshore workforce are expected to oppose it’s return to service. The announcement comes only a few weeks after Bristows were seen moving three Super Puma’s to storage in their Aberdeen base. Unite the union has pledged to make sure the rights of BP workers are protected in any transfer to a new employer. Today (Tuesday 24 January) BP announced that it plans to transfer operations at the Magnus oil field and Sullom Voe Terminal to the independent oil and gas producer EnQuest. Around 100 BP staff are currently associated with Magnus and associated infrastructure, and approximately 240 with the Sullom Voe Terminal. Unite regional officer John Boland said: “Many people will look on this news as the end of an era, given BP’s long association with the Sullom Voe Terminal and the Magnus field. It was discovered by BP way back in 1974 when the company was still owned by the public. “BP has said it will now start consultations and Unite is pledged to making sure the rights of our members are protected in any transfer. We are clear – there should be no change to the terms and conditions of any worker moving over to employment by EnQuest. For further information contact John Boland on 07918 630435 / 01224 6455271, or Unite Scotland Media & Communications Officer David Eyre on 07960 451631. Additional checks are being carried on a North Sea helicopter fleet in the wake of safety fears. It follows an incident which saw a S92 spin more than 180 degrees on landing. One-off inspections of the tail rotor on all S92 helicopters around the world took place last week, following the incident on the West Franklin platform in December. Operators are now being told to increase inspections on the aircraft’s tail rotor. 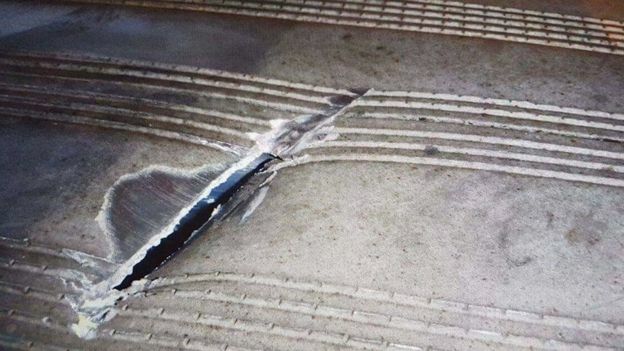 No-one was injured in the incident, but there was significant damage to the deck of the platform. As a result of the initial safety checks, 11 tail rotor bearings were returned to manufacturer Sikorsky for further tests. The Federal Aviation Administration has now said further inspections using specialist cameras must be carried out every 10 hours of flying time. North Sea operators said they were fully complying with the latest directive. Join Unite online today! Get Protected! Get Active! Get Organised! Oil and Gas People broke the story earlier this week how all North Sea S92 helicopters were temporarily grounded to allow an examination to be conducted of each aircrafts tail rotor assembly. 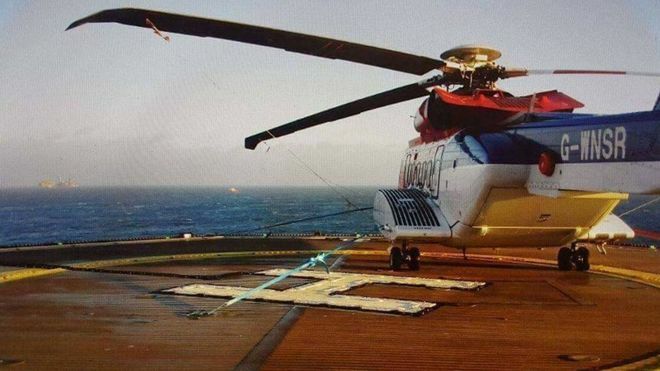 The temporary grounding was mandated by manufacturer Sikorsky in an Alert Service Bulletin and comes during the investigation into a CHC S92 that spun on the helideck of the West Franklin Platform, taking gouges out of the helideck and damaging the aircrafts landing gear. All four affected aircraft operated in the UK sector with Norwegian S92’s reporting zero failed inspections. A spokesperson for Babcock stated: “Babcock has completed the required inspections on the whole of its S92 fleet. As a result of the inspection findings, three bearings have been returned to Sikorsky for evaluation. The revelation comes amid ongoing controversy between offshore workers as to whether the Sikorsky S92 is indeed the correct replacement for the North Seas grounded Super Puma fleet. All Unite trade union members details must be correct and up to date, if you have been given a new contract or your job or employer or if anything in your employment status has changed, It will have to be updated and verified on our membership system. 9. Who is the Unite point of contact on your shift. If the complex laws around industrial action ballots are breached there could be legal challenges to the ballot, the ballot could be delayed and declared null & void and a lengthy time period in the courts will ensue , this will be the employers preferred option to delay and frustrate the union members, go down a lengthy costly legal route to delay and put another ballot in place. Misinformation divide and delay are employers key weapons in Industrial disputes Our key weapons are solidarity, members collective strength and communication. it is vitally important that all union members stay strong and to deliver results in industrial disputes. We only get one chance to get it right and jump through all the legal hoops along the way. Therefore to force any employer back to the negotiating table, only comes from a position of strength by the union, the employer has to re-assess their position and risk either change and improve their offer or stick and bust the union. Unite members participation in any ballot is key and sets the ground rules for the strategy and plan to utilise Unite members collective strength and power to win the dispute. Unite workplace reps elected and communicating with members and the full-time officials. Communication strategy, company, rig and Trade Union-wide. Unite members committed to taking Industrial action together and seeing the fight through to the end. The Conservative party made a manifesto commitment during the 2015 election to ensure that unions had a democratic mandate before they called their members out to take part in industrial action. The result was the Trade Union Act 2016, which became law in May 2016 but which is not yet in force. Members of two unions at oil and gas company Wood Group have voted in favour of going on strike. Members of Unite and the RMT unions at Wood Group have voted in favour of going on strike. Unite and the RMT have been in dispute with the firm over what the trade unions have described as a “swingeing” proposed pay cuts. Unite’s ballot had a turnout of 86.6% and 99.1% voted for strike action, while 98.5% of the RMT’s turnout of 67% also backed taking the same action. A ballot by offshore catering workers has backed strike action. Unite members of the Caterers Offshore Trade Association (COTA) were asked if they would be willing to take action over pay. The result saw 54.2% of votes back strike action, with 62.7% supporting action short of strike. Unite urged COTA to return to the negotiating table. Members of the RMT union are also being balloted on the issue. Offshore catering workers from the RMT union have voted for action short of a strike in a dispute over pay. The Caterers Offshore Trade Association (COTA) is seeking a pay freeze and also recently announced it would be consulting on about 500 job losses. RMT union members narrowly voted against strike action, but for action short of a strike. COTA indicated earlier it was retracting the second year of a two-year pay deal in a bid to secure jobs. As you can see from the examples above, recent Offshore workers industrial action ballots the membership decide what clear route and path they can take. The strength of the action is determined by the solidarity in the vote and the turnout determines which action and power you the members have through your trade union when negotiating a resolution to your trade dispute with your employer. Yesterday aircraft manufacturer Sikorsky released an Alert Service Bulletin (ASB) detailing a series of mandatory inspection requirements that had to be completed on all S92 airframes prior to their next flight. The ASB was issued as a result of an investigation into the West Franklin incident, where a CHC S92 helicopter span on the helideck while attempting to land on the platform. The incident damaged the aircrafts wheels and took gouges out of the installations helideck, with the aircraft finally coming to a stop a mere foot or two from the edge. The technical investigation focussed on the tail rotor and associated components. Once the panels were removed it was immediately apparent that the tail rotor servo piston was damaged. The servo was removed and revealed that the tail rotor pitch change shaft (TRPCS) double row angular contact bearing was in a severely distressed condition (See picture below). https://www.instagram.com/p/BPIOpbxhm6u/embed/captioned/?cr=1&v=7“Further disassembly and examination of the components found signs of severe overheating with extreme wear on the inner and outer thrust races and barrel shaped rollers of the bearing. It was found that the roller bearings seized to the inner member. The outer race roller had excessive axial play (0.5 in), such that the tail rotor driveshaft imparted a torsional load to the tail rotor servo. This torsional load caused the primary piston rod to fracture inside the servo. Due to the failure of the primary piston, the secondary piston sleeve separated axially from the primary piston adjacent to the link tting, with the consequential total loss of control of the tail rotor. The components were shipped to the helicopter manufacturer for forensic analysis. Initial ndings indicate that the failure of this speci c bearing was rapid; a period of 4.5 hours had elapsed from the rst exceedance of the relevant bearing condition indicator recorded on the operator’s Health and Usage Monitoring System (HUMS) to the point of failure. The AAIB investigation will continue to examine all the operational aspects of this accident and conduct a detailed engineering investigation of the relevant helicopter components. The AAIB will report any signi cant developments as the investigation progresses. “CHC welcome the Air Accident Investigation Branch’s (AAIB) Special Bulletin S1/2017 published today (January 11, 2017) into the offshore event on December 28, 2016. “CHC has worked closely with the AAIB and aircraft manufacturer Sikorsky. We will continue to support ongoing investigations by the AAIB and the NTSB, as well as Sikorsky into the root cause of the suspected TRPCS Bearing failure. “We are confident that the measures we have taken and the actions directed by the Sikorsky in their ASB to all operators worldwide will continue to underpin the safety and airworthiness of the S92. The industry has acted swiftly to comply fully with the requirements of the ASB and to return the S92 to safe operations in both O&G and SAR roles worldwide, as soon as it was possible to do so.